Getting ahead professionally requires strong leadership and communication skills. Both are bedrocks of the Toastmasters global professional development program. Learn how Toastmasters can help you get better and get ahead. 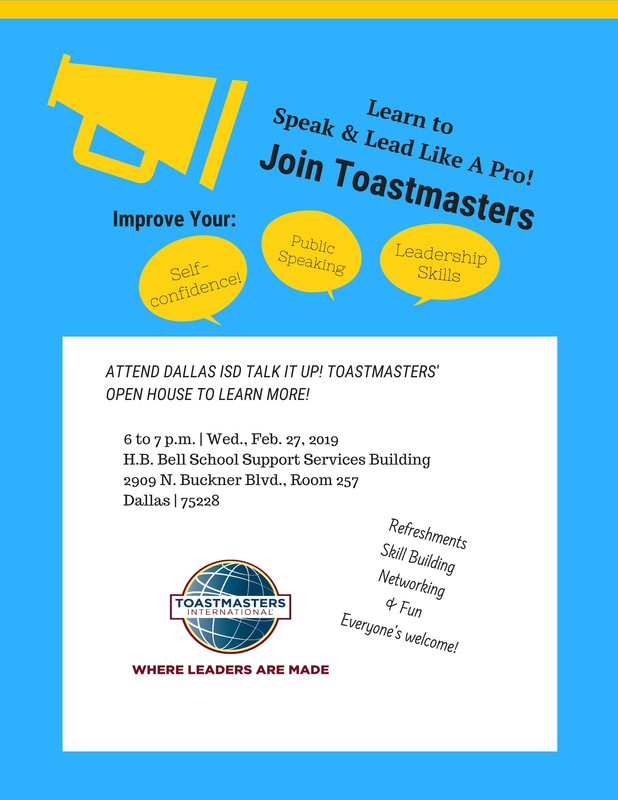 Attend the Dallas ISD Talk It Up! Toastmasters open house at 5:45 p.m., Wed., Nov. 1, in room 257 of the H.B. Bell School Support Services Building, 2909 N. Buckner Blvd. Join us for free pizza, fun and fellowship.